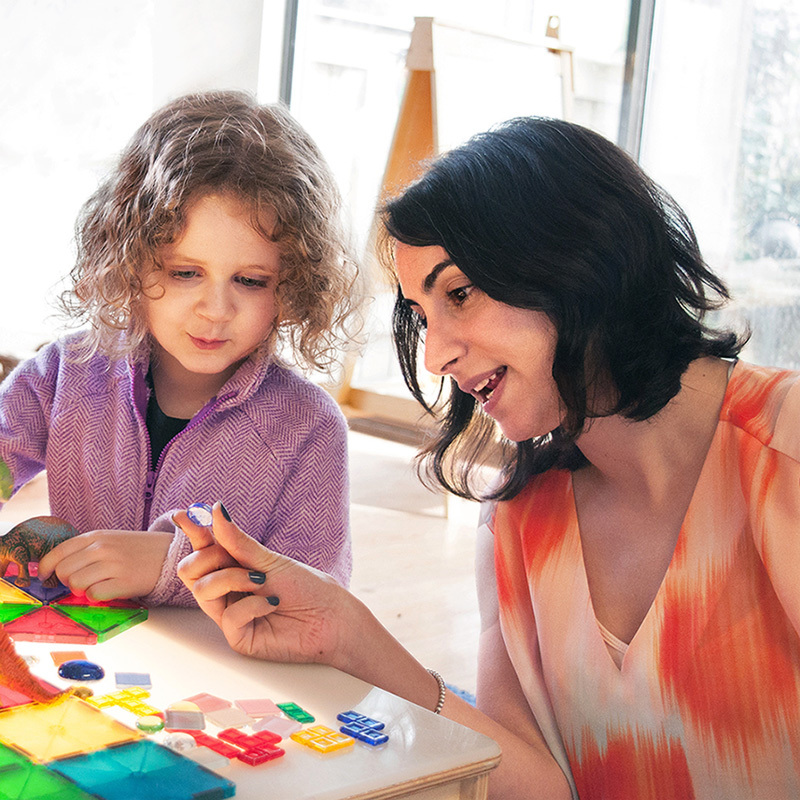 The Learning Centre is a place where educators and parents come together to learn, share knowledge and resources, and observe the Reggio Emilia philosophy in practice at the Frog Hollow Children's Centres. Above: Maryam and one of the children from the Learning Centre's programs. 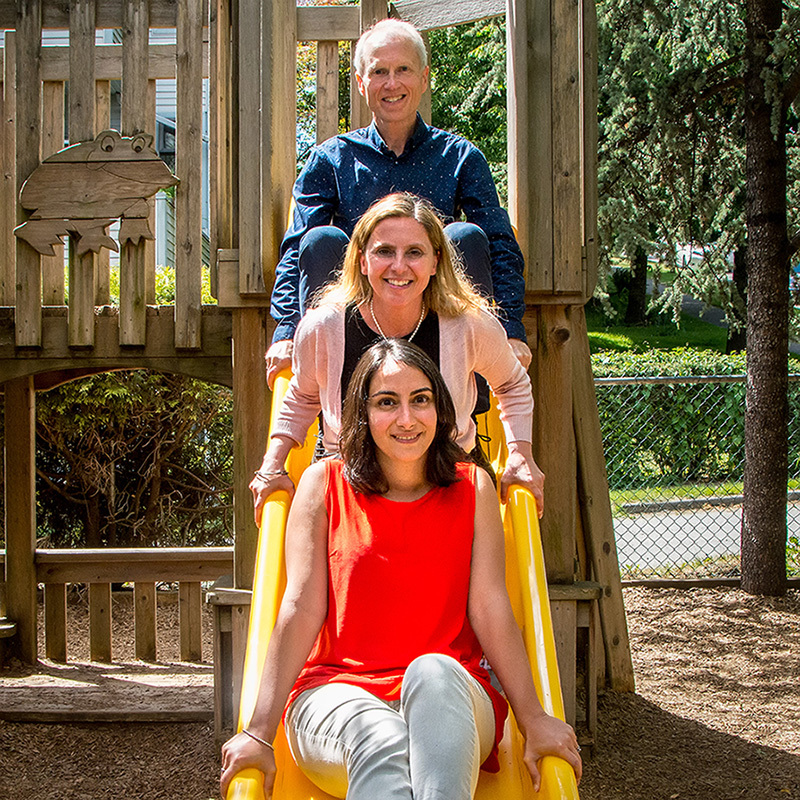 Above: Maryam, Anna, and Gary of the Learning Centre at Frog Hollow Neighbourhood House. As the Director of the Reggio-Inspired Learning Centre, I work closely with Frog Hollow educators, children and their families in designing curriculum, I take part in professional development opportunities for Frog Hollow educators, and facilitate and organize workshops, tours, consultation services and roundtables for the Early Childhood Education and Early Years communities. I was born and raised in Tehran, Iran and immigrated to Canada with my family when I was 16 years old. I was raised by very open-minded and supportive parents, spending my childhood listening to discussions about social justice and openness in society. My experience growing up in a culture outside of Canada has provided me with an appreciation for diversity and for the incredible opportunities and freedoms that we experience here. My background has played a huge role in who I am today and how I view the place of children – and adults – in society. I am also the parent of a beautiful little girl who has been so generously teaching me what I could not learn on my own – including who I am and what my values and limits are. My passion for social justice and education led me to a B.A. in Community Rehabilitation Management and many years of working with infants, children, youth and adults with diverse abilities. I was introduced to the Reggio Emilia approach at Frog Hollow Neighbourhood House, where I began by coordinating a before- and after school program. I was incredibly inspired and excited by the principles and values of their Reggio-inspired approach and began researching and exploring a multitude of resources. The Reggio Emilia philosophy helped synthesize everything I have tried to get my mind around ever since I was a child. I have spent the last two years reading, studying, reflecting, sharing ideas and visiting many Reggio-inspired sites and learning centres, including the Reggio Emilia schools in Italy, and it has been a beautiful and transforming journey. As a parent, a woman and a citizen with uncompromising values, I consider myself fortunate to be constantly experiencing, thinking and re-thinking about children and education and I feel honored to take part in sharing this journey with the larger community.